PPD: "It took me a TI to realize I no longer wanted to team with Aui"
The captain of Evil Geniuses Peter 'ppd' Dager has broken his silence on the removal of support player Kurtis 'Aui_2000' Ling in the aftermath of a Dota 2 TI5 winning campaign. For many the kick seemed unwarranted or unfair but PPD decided that he was "going to set things straight". With the community perhaps too readily embracing the drama last week, PPD explained why the decision is in the best interest of the team. It was Aui who cast the first stone into the water when he tweeted of his removal from Team EG much to the complete bemusement of the community and the professional scene. A tweet which has now been re-tweeted almost 6,000 times. There was no official statement on Evil Geniuses's website to accompany the news of his removal and with PPD's historic clash with Arteezy last year not such a distant memory, all eyes turned to Team EG last Friday with many public figures venting their discontent at his removal. Evil Geniuses manager Charlie was the public's only source of some kind of clarification when he posted that "I trust the judgment of the captain and the other players. I will not make roster decisions on their behalf and I will not force players to play on rosters they don't want to play on." However, the fires continue to burn and for PPD enough is enough. "This has gone past the point of meaningless drama and in my opinion seems to be defaming me and my teammates character/brand. So I'm going to set things straight with my incredibly biased opinion," opened PPD on the his blog addressing the subject of Aui's removal. The blog at first mentions Aui's strengths which include being "talented", "trustworthy" and "just the nicest guy ever", before PPD goes into the reasons why Aui could not stay on the team. 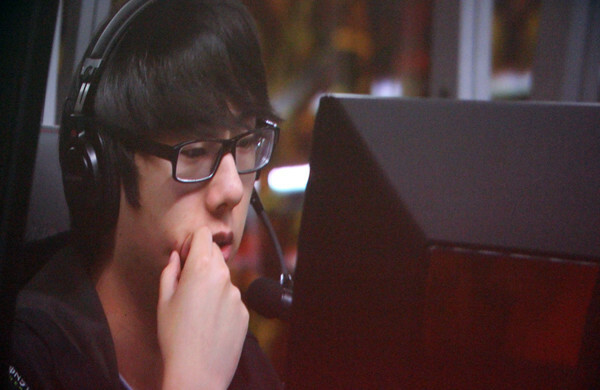 So why did PPD and Evil Geniuses agree to let Aui_2000 go? PPD's Reason #1: Aui was "not an effective communicator"
PPD's Reason #2: Aui "often makes mistakes under high pressure"
PPD's Reason #3: Aui "creates a stressful environment"
Honestly show some composure and don't whine on your teammates. We lost, learn from it and move on we've both played enough tournies to know how these things work. We literally went though the same exact thing at DAC.(...) You learn more about yourself from losing and if you can't keep your composure at TI you're useless to me. Our strategy going into the final day was ppd talk more and aui talk less. Overall the reasoning provided by PPD appear all related to Aui's ability to fit in the Team EG squad as a professional player and not an attack on his character. PPD is well known for being a strong leader, and for the captain TI was a definitive moment for Aui. "The international is by far the most stressful and most difficult tournament to win. It truly defines the kind of a player you are and it took me a TI to realize I no longer wanted to team with Aui." Whether or not this public autopsy of Aui's ability to be part of a team will have a detrimental effect on his Dota 2 career is questionable. The Canadian is a highly regarded support player in terms of skill but after these comments some may expect him to find it more difficult to secure a position in a top team having been kicked from both Cloud9 and Team EG during the last year. However, the Canadian tweeted he has a new team already in the works. Also I just want to thank everyone for the insane amount of support. I already have a finalized new roster (sry no public info). I'll be ok. The rest of the blog covers the reasoning behind the return of Arteezy, how invaluable Fear is, as well addressing several other nagging issues the community had with how the Aui drama went down.